On the 30 June 2014 I added Pearson (LSE ticker: PSON) and Royal Dutch Shell (LSE ticker: RDSB). The experience continues to be positive with the HYP as of Friday (excluding the GSK purchase) sitting on a trailing dividend yield of 4.6% compared to the FTSE 100 dividend yield of 3.3%. At the same time the HYP is also outperforming the FTSE 100 from a capital growth perspective. Year to date capital growth of the HYP is down 0.6% compared to the FTSE 100 which is down 1.0%. Since inception the HYP has grown 35.4% compared to the FTSE 100’s 25.7%. So with hundreds of shares to choose from I grabbed GSK on Friday. Let’s review why by sharing my usual selection criteria. At the same time let’s also have a quick look at how HYP’able my current holdings also look today. The first criteria is qualitative. I want to understand how the business I’m buying makes its revenues in less than 10 seconds. GSK and its brands hardly need an introduction. They are a global pharmaceutical and healthcare company developing and supplying medicines to help people do more, feel better and live longer. They make everything from Ventolin which any asthma sufferer will likely know well, through remedies such as Beechams Cold & Flu and onwards to day to day brands such as Macleans toothpaste. They even own the Horlicks brand. This is simple to explain and understand so meets my first criteria. GSK sits within the FTSE 100 so meet the large criteria. Whether or not we are in recession people still need medicines and products such as toothpaste, paracetamol and cold & flu tablets. So this criteria is met. Of course many of GSK’s products are under attack from other brands including more and more generics as products come off patent. Additionally, GSK seems to have more than its fair share of corruption scandals and I’m not a big fan of the board, in my opinion, trying to hide the real story by always talking about core profits which excludes costs such as legal costs and development costs which don’t sound very much like one offs to me. But hey is any company perfect? AstraZeneca is from Pharmaceuticals & Biotechnology, Sainsbury’s is a Food & Drug Retailer, SSE is an Electricity Utility, Vodafone is a Mobile Communications provider (although I consider them as a Communications Utility much like a Water, Gas or Electricity Utility), Pearson is Media and Shell is Oil and Gas Production. GSK is my first duplication of an existing industry - Pharmaceuticals & Biotechnology. I came close to adding Tate & Lyle which would have bought Food Producers and Processors into the mix (a better match for this criteria) but the GSK dividend yield of 5.5% vs TATE at 4.3% was just too tempting in the current market. Only time will tell if it was a good move. So a small diversion but generally I’m not far off this criteria. Today 3 of my 7 current shares are now over 150%. GSK is also slightly over the Acceptance Criteria on 159%. 5 of my current 7 have increased dividends at a rate faster than inflation over the medium term. HSBA sinned badly on this front with a reduction in dividends of 23% but over the last 4 years they are well ahead of inflation with a 44% increase vs inflation at 16%. RDSB is a laggard following a few years of a sticky $1.68 dividend although in the 2 years since the un-sticking they have increased by 7% compared with inflation at 6%. GSK passes this criteria with flying colours having 5 year dividend increases of 37% vs inflation at 19%. My acceptance criteria requires a ratio of greater than 1.5 for all HYP type shares except utilities where I think that greater than 1.25 is ok. I accept a lower Dividend Cover for good utility companies as their earnings should be some of the most consistent with little to no cyclicality. I also don’t like too high a Dividend Cover as I think this encourages CEO’s with delusions of grandeur to run off and make over priced acquisitions, or worse, use the profits not paid as a dividend to buy back the companies own shares thereby maximising their bonuses. All of my current HYP shares meet the criteria. GSK is slightly under at 1.4. 6 of my current 7 meet the criteria. PSON last financial year was a sinner by not having sufficient cash flow to cover dividends. GSK don’t quite meet my criteria but aren’t far off at 1.9. I now own 8 of my 15 to 20 HYP shares. Using my acceptance criteria the previous 5 still look like reasonable HYP share choices. I’m also reasonably happy with GSK. Of course I’d like more cash flow and dividend cover but I’d probably actually prefer a more transparent board of directors and less corruption scandals but maybe that’s why the share price is what it is. What do you think? Do you own a HYP? If yes, is it delivering what you hoped it would? Probably not a bad buy considering the recent battering the share price has had. AZN sitting on a P/E of 14.5 and Dividend Yield of 3.8%. GSK sitting on a P/E of 12.6 and Dividend Yield of 5.5%. Circa one year ago and the Divi Yields were reversed with AZN on 5.7% and GSK 4.4%. What's changed other than a failed acquisition attempt on AZN? Nothing big that I can see and GSK is believed to have the better drug pipeline. I do like the way that you tell us what you have actually done - and explain why . It is too easy to say " what I would do " as this may well not be what you end up doing. So - your honesty and openness is refreshing. Under your Wealth Warning you state " I don't know if long term this HYP strategy will work- compared to low expense index tracker funds "
A crucial question is - which index are you tracking ? You also compare your HYP performance to FTSE 100 index. I don't find FTSE 100 index very useful at all - which also means that the FTSE 350 and FTSE All Share indices are not helpful either, as the FTSE 100 represents such a large proportion of these indices. FTSE 250 is a different matter however. 471,000. Also market capitalisations range from £ 0.8bn.for Wood Group and £135bn for RDS which therefore has a cap 170 x larger than Wood Group. So - the point I am trying to make is " how useful or meaningful are these indices "
And that is not even mentioning the Dow Jones Industrial Average and the Nikkei 225 both of which are price weighted indices - which seems a bizarre idea. I am going to stop now - and see if this generates any responses - but I would like to think that your HYP portfolio will outperform any of the above mentioned indices . Whether it will make more profit than either FTSE 250 or S&P 500 seems to me to be a much more relevant question. Thanks for the detailed thoughts stringvest. 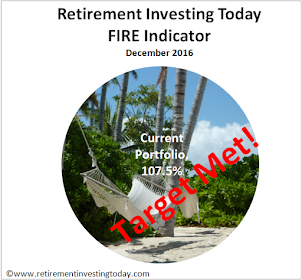 Unlike some sites this blog is my warts and all journey to financial independence and early retirement. Therefore it will always be what I've done in posts like this. Some posts do however think about what I'm going to do or plan to do but the context of the post should make that clear. I'm glad you've also noticed my transparency. - Half within a non index based UK Property Fund contained within my Pension. If I could track here I would but the option isn’t available. - Some remnants in an active Australia Fund which I can’t sell without significant tax. - The remainder is the HYP mentioned in this post (which I want to become a larger portion of my UK Equities with time) and the UK portion of the FTSE Developed Europe Index mentioned above. For the HYP I benchmark myself against the FTSE100 as that’s where the shares come from. I hope that at least partially answers your question? The bulk of my investments are in dividend paying stocks. Currently have 27 FTSE 100 and 14 S & P 500 stocks. Objective is to finish at 30 FTSE 100 stocks and 25 S & P 500 stocks. I differentiate between HYP and dividend growth stocks. Some are a combo of both. 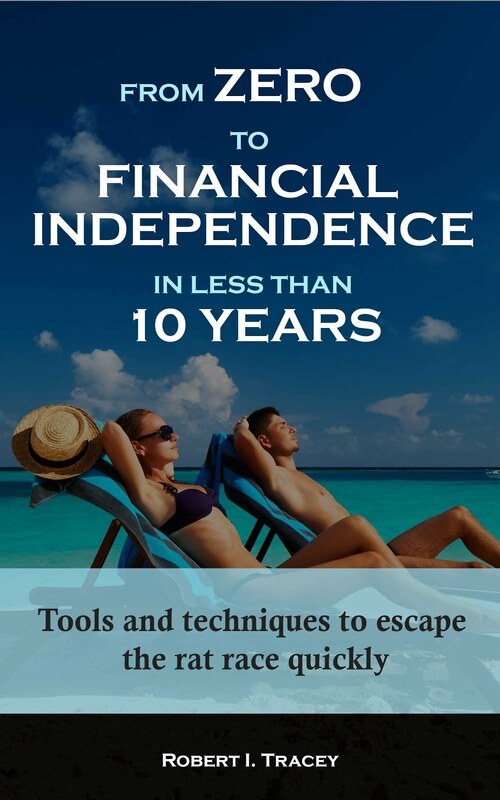 I don't make a comparison with FTSE 100 or S & P because I am only interested in generating income. Lower stock prices are actually an advantage because re-investing dividends buys even more shares. In the end, everyone has to use there portfolio to generate income, so why not start immediately. Seeing dividends come into your account almost every other day is a great motivator. I have a few SPDR and I shares dividend ETFs to cover Europe, EM and Asia. Vanguard VHYL is also on my target list. My goal is to generate £2K per month of passive income and I'm 75% there, at that stage I will be FI. for UK exposure and bulk of my investments, im putting together a HYP for income and reinvesting divs. got 14 so far. its very exciting getting divs paid I don't want the stress about share prices falling and getting upset. I want div income coming in.I also have 2 trackers , emerging markets and dev world ex uk. not sure if to get a ftse 250 tracker to cover small mid caps but they had good run recently so might be bad time. I've been offline for the past couple of weeks following a house move so slowly getting back up to speed. As you probably know, I hold GSK in the shares section of my equity income portfolio. I regard it as a fairly solid income play as part of a diversified portfolio and the recent sp weakness is probably providing a good entry point. Good to see the HYP portfolio build picking up momentum in recent months. For what it is worth, my opinion wrt the use of all these indexes as a basis for comparison is that the only reason for their selection can be to massage the ego. The truth is that we are all investing (or, at least, should be) with a view to achieving a positive real return after tax and above inflation and in the currency where we expect to spend our gains; this is the only criterion that really counts in objective terms. It does not strictly matter whether the gain is made on the basis of yield or capital value, so long as it is accessible. To put it another way, it is quite pointless to feel any satisfaction about beating any index that is itself dropping in inflation-adjusted terms, or is rising but encumbered by taxation issues or currency issues. It would be good if your information was to be presented in this way - it might even eventually force others to start to present their information in the same way. Perhaps, the ego being what it is, it may be necessary to give the information both objectively and against some index? With great thanks for what is a very superior site. Not sure what is meant by "profile" below.